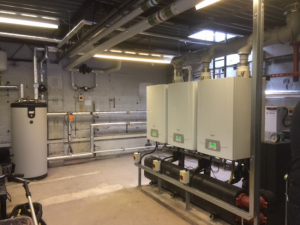 The plant room heating and hot water upgrade involved replacing three floor standing atmospheric boilers and horizontal vented calorifiers with three high efficiency condensing boilers on a cascade system with a unvented hot water cylinder. All pipe work was renewed with new associated equipment such as pumps, valves, air/dirt separator, pressurisation unit and expansion vessel. The controls system was also upgraded with a new panel and controls devices to operate school remotely through BMS controls. This project involved an upgrade to heating system. We removed four atmospheric floor standing appliances and installed three high efficiency floor standing condensing boilers. JH Mechanical Services undertook all heating and gas pipe work modifications and designed, supplied and installed a new flue system. This project was undertaken at Vimy 101, Catterick Garrison. We stripped out the existing heating and hot water systems and refurbished the existing Air handling Unit. 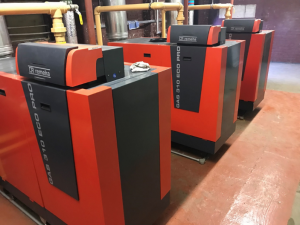 We supplied and installed three wall mounted condensing boilers on a cascade system and undertook a full pipe work upgrade and new thermal insulation upon completion. 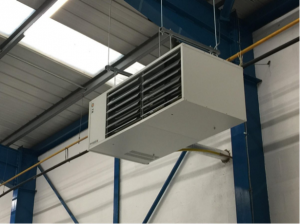 We designed and installed warm air heating to factory units including gas supply pipe work and destrat fans. We stripped out substandard Flue installations to boilers in aircraft bunkers; then designed, installed and commissioned a new flue system to meet current regulatory standards. We supplied and installed two wall mounted condensing heating boilers and adapted and modified all heating and gas pipe work and added in a new external flue system. We also completed the upgrade of the controls system with a new control panel which enabled the remote operation of plant and equipment; giving complete control to the client. 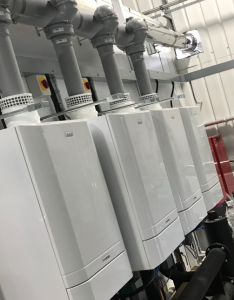 We upgraded 36 30KW combination boilers to halls of residence and upgraded a commercial boiler plant, installing one wall hung 80KW condensing boiler and unvented hot water cylinder. Type: Maintenance, Reactive Repairs and Install. Type: Maintenance, Servicing, Reactive Repairs and Install.